Make the most of fresh summer veg with this easy vegetarian recipe ready in just 20 minutes. 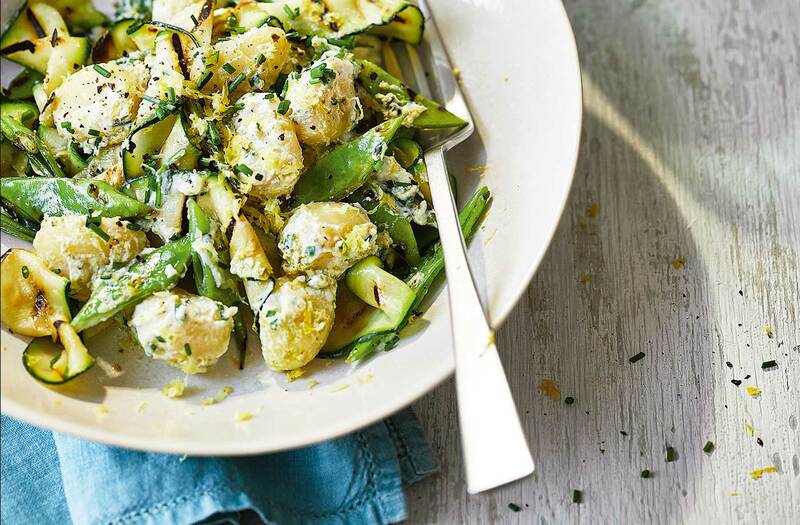 Runner beans, courgettes, lemon and ricotta make this gnocchi recipe a truly summery affair, ideal for a quick midweek meal. Heat a griddle pan over a medium-high heat. Put the courgette and runner beans in a large bowl and drizzle with the oil. Toss to coat, then griddle in batches for 1 min, turning halfway. Transfer to a plate; cover with foil to keep warm. Meanwhile, cook the gnocchi to pack instructions. Drain, reserving a ladleful of the cooking water. Stir the ricotta, lemon juice, pesto and half the chives through the gnocchi with enough of the reserved cooking water (about 2-3 tbsp), to loosen the sauce. Season, then fold through the courgette and runner beans. Divide between 4 bowls; scatter with the lemon zest and remaining chives.